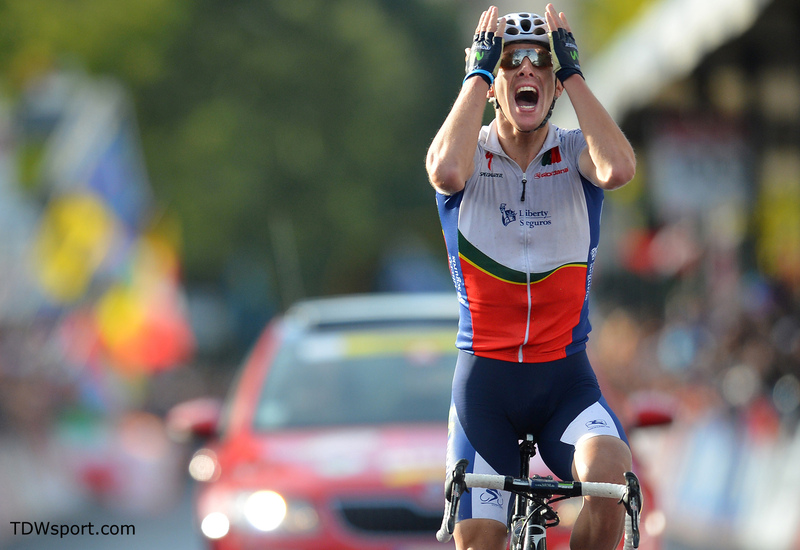 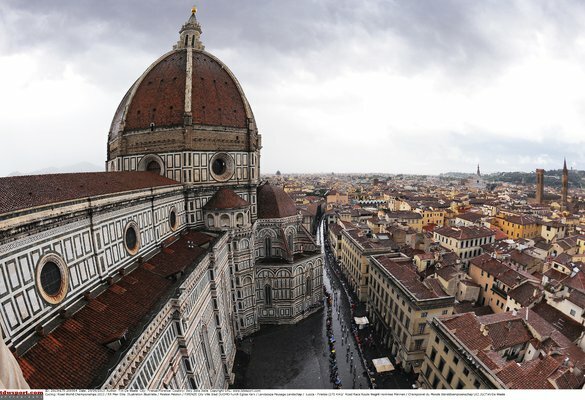 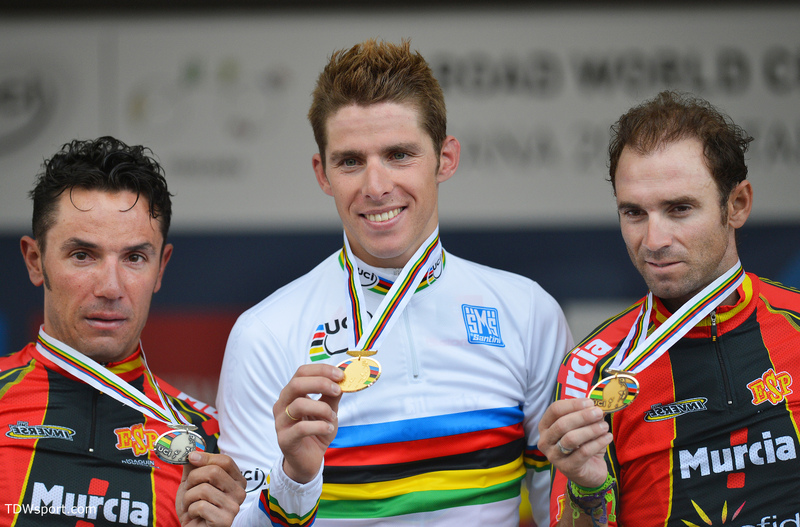 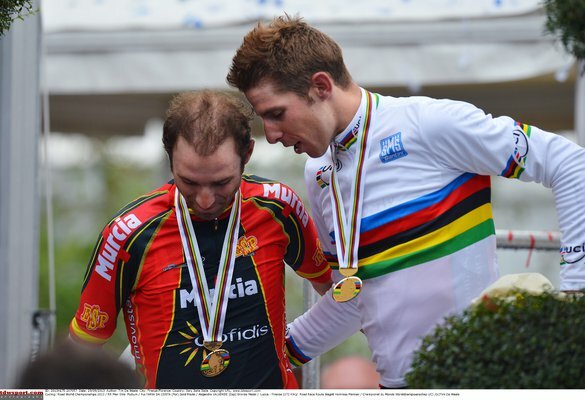 Rui Costa claimed a historic rainbow jersey in Florence after one of the toughest World Championships in recent years. Movistar teammate, Alejandro Valverde, took bronze, his fifth medal in the event - a highly successful result for the SRM sponsored Movistar Team. 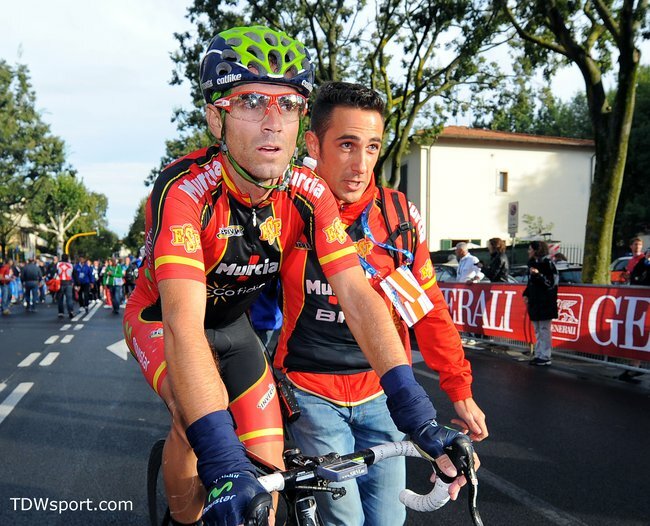 The SRM Race Files from Costa and Valverde are featured below. Rui Costa completed the 272.26km race in 7:25:44. 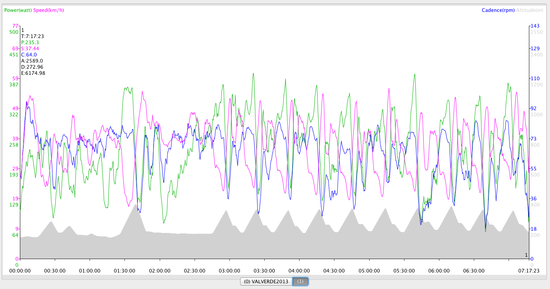 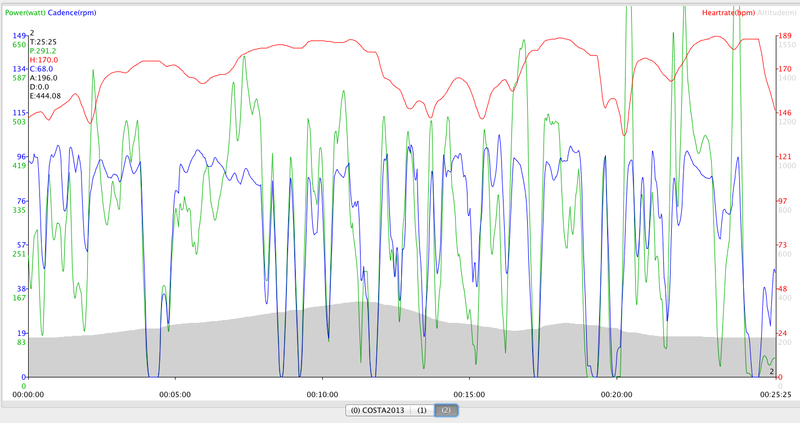 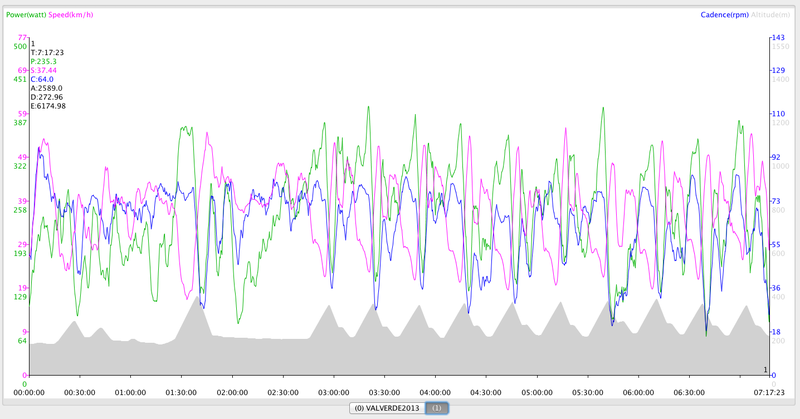 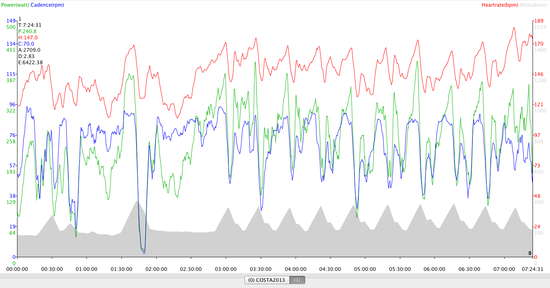 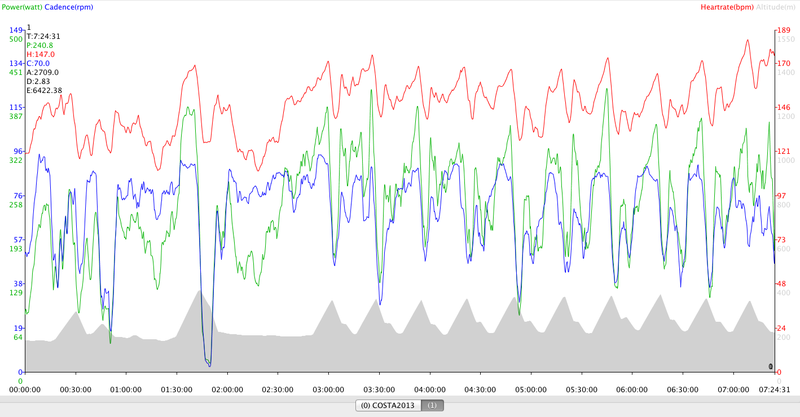 His average power was 240.8 watts with an average cadence of 70 rpm. 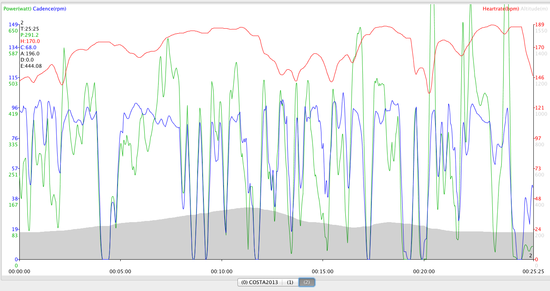 Costa's race effort required over 6,000 kilocalories as he climbed 2,700 meters and maintained an average heart rate of 147 bpm. 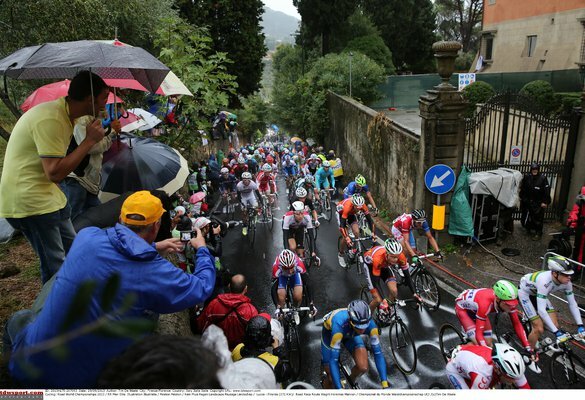 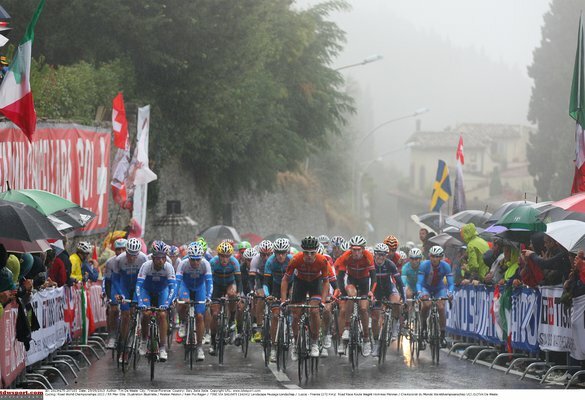 In the bell lap an attack by Joaquim Rodríguez left only five riders at the front, with Costa and Valverde- against Nibali, Rodríguez and Urán, who crashed into the last Fiesole descent. 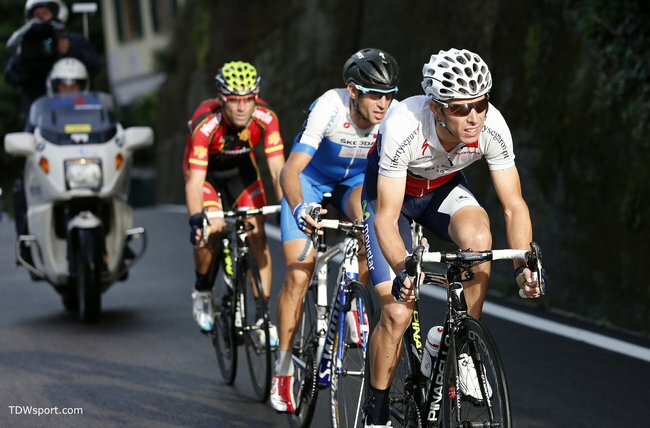 Playing for the medals, another move from Rodríguez forced Nibali to react on his own pace and later took Rui to counter with 1.5k remaining.